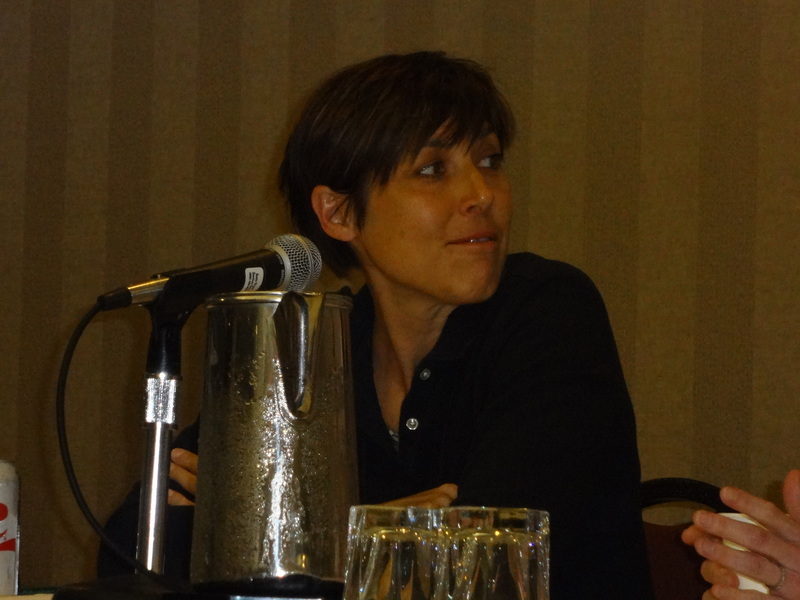 This is my friend Sandra Moran trying not to laugh at another panelist telling a story in Portland at the 2014 Golden Crown Literary Society’s Annual Convention. It didn’t work, moment’s later, she was laughing so much the picture I took was blurry. So I had to go with the Pre-laugh picture. 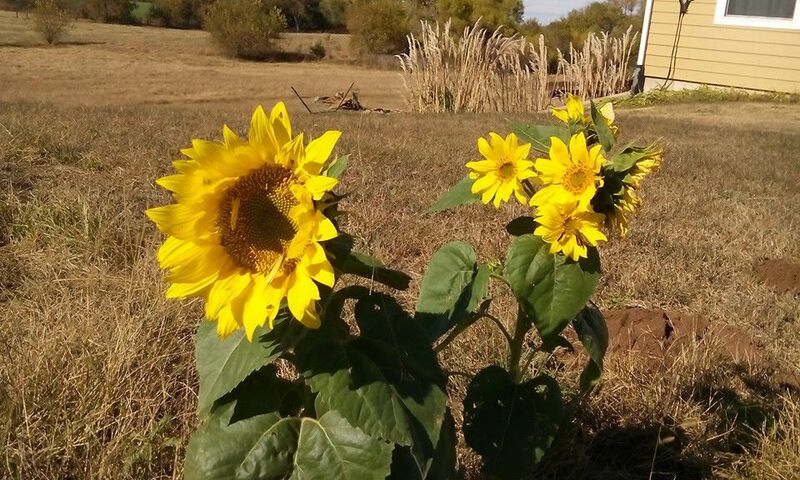 The picture of the Sunflowers is because we are both Kansans and it is a picture of autumn in Kansas, a time of great beauty, but a time of transition and of letting go. I share this picture with you to give you a visual idea of who Sandra was. She was a writer and a damned fine one at that, a professor of anthropology, an archeological tour manager, a political speech writer and so much more over her short 46 year old life. She was also an instructor in the GCLS’s Writing Academy, a mentor to so many “younger” (read: newer) writers, and a friend. Six weeks short of her 47th birthday she died after a very short diagnosis of cancer. Her death left hundreds of students, readers, friends and family members reeling. A memorial service for her life will be held next Saturday (the 14th of November) at the Junior College where she taught in northeasatern Kansas. I am not able to write the tribute that my friends have been able to write yet: the beautiful or moving tribute to who she was through who she is and who she will be as we carry on her messages and her life. I will. In time. Her loss, on top of the loss of my good friend and boss in the same month is still too raw. A former writing teacher once told me that my best writing came out of my most honest, raw places. While I’m not sure that is true, I’m trying to be true to the memories of Josi and Sandra, true by writing. So far, it’s been difficult and I’m not sure what I’m writing is going to be worth saving. But that decision is for another day,, for today, I will write and honor the writer in her, and the passionate healer in Josi. If you see me straying from this commitment, you have my permission to call me to task over it. I’ll leave you with one more photo, if WordPress will let me. 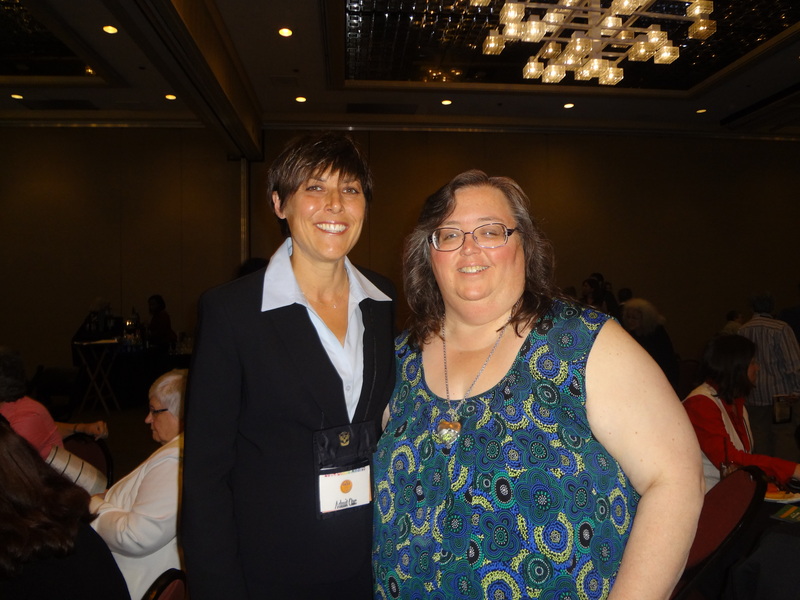 This is a photo of Sandra and I together the night she won the Ann Bannon Popular Choice Award, for the most popular book of the year, as selected by the readers, not the judges, at the GCLS Goldie Awards in 2014. I want to thank Sandra for her friendship and send my deep condolences to her wife, Cheryl and her sister, Lauri, and all her family and friends. She was a shining star and will continue to be a presence in the world of lesbian literature and literature as a whole. Good bye Sandra. I’ll see you in my books and in the works we all do in your name and memory. May the force be with you!